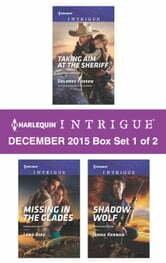 Sheriff Jericho Crockett is stunned when his ex-flame Laurel Tate announces that he's her baby's father and begs him to marry her to protect their child from a killer. Can Jericho solve a murder in time to save his newfound family? When former detective Jake Young's first case as a PI brings him to the town of Mystic Glades in search of a missing person, he'll wind up fighting to survive and to save a mysterious young woman running from her past. Witnessing a cartel killing has put aid worker Lea Atlaha in the hands of Apache border patrol agent Kino Cosin. To put away his father's murderer, Kino will need to keep her alive—which will mean staying very close to her. 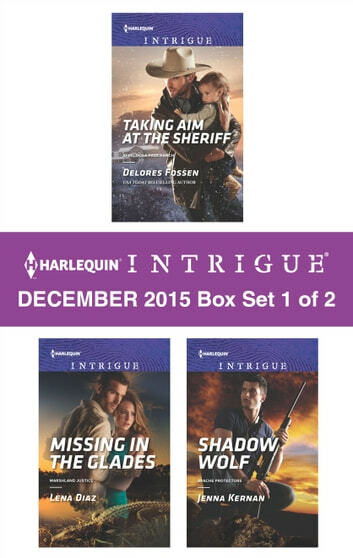 Look for Harlequin Intrigue's December 2015 Box set 2 of 2, filled with even more edge-of-your seat romantic suspense!